Calendula, or pot marigold, is one of the most versatile flower, it is a flower of the composite family. The calendula means “throughout the months”. The marigold is an annual flower that blooms well, even over a long season. They bloom practically non-stop the entire summer and have few problems. Calendulas have pale green leaves and produce yellow and orange colored flowers on long stems. They grow to a height of 12 – 24 inches. The best flowering season for the plant is summer to fall. It has a low drought tolerance. The plant is a prolific self-seeder. Calendula contains high amounts of flavonoids, it is a plant-based antioxidant protecting the body against cell-damaging free radicals. Marigolds are good cleansers and can be remedies for the sting of bees, headaches, toothaches, stomachaches, fever reducers, menstrual cramps, sprains, jaundice, sore eyes, wounds and skin irritations such as acne, eczema, rashes and sunburn when the calendula is made into an ointment. It has antiseptic, anti-inflammatory, antibacterial and antifungal properties that prevent infections. Only the deep orange flowered variety is of medicinal use. The tea or the tincture in water can also be swished and swallowed to help heal sore throat, oral lesions or gastric ulcer. The ancient Romans used it to treat scorpion bites. This flower is also used by many gardeners as an insect repellent and by cooks as a spicy seasoning or coloring for food. Calendula flowers and leaves are edible and make an attractive addition to salads and soups. The flavor is usually slightly bitter and can add a tangy or tart flavor to your usual greens. 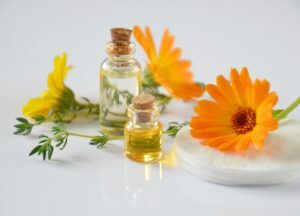 A great number of cosmetic calendula products are produced such as calendula lotion, calendula cream, calendula shampoo and toothpaste. The lotion helps normalize the activity of the sebaceous glands and is useful for oily hair. 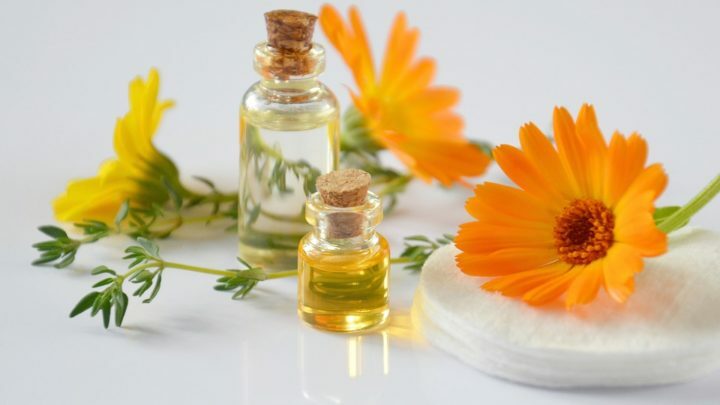 A hair rinse with calendula reduces dandruff. This plant has strong bactericidal properties against some pathogens particularly streptococci and staphylococci. Patchouli is a species of plant from the mint family. The plant grows as a bushy herb and bearing small, pale pink-white flowers. The name patchouli comes from a Tamil word, paccilai, meaning “green leaf”. Patchouli is known principally for the fragrance of its essential oil. 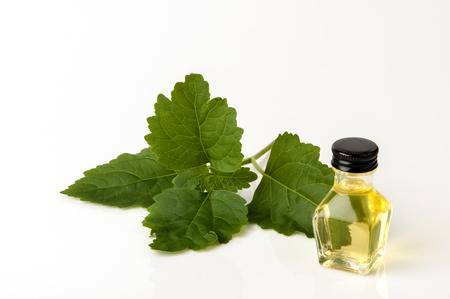 Patchouli oil is used extensively in the perfume industry. The oil is steam-distilled from the leaves and stems, which are harvested two to three times a year. The quality of the oil is better if the dried leaves are aged before distillation. Patchouli is frequently used in soaps and cosmetics that are said to rejuvenate dry and “mature” skin. It works as a deodorant by masking body odor. Both the oil and the dried leaves are used in potpourri, the leaves add a distinctive texture as well as fragrance to the mixture. The oil is thought to have fixative properties and is believed to improve with age. The heavy and strong scent of patchouli has been used for centuries in perfumes and, more recently, in incense, insect repellents and alternative medicines. Extraction of patchouli’s essential oil is by steam distillation of the dried leaves, requiring rupture of its cell walls by steam scalding, light fermentation or drying. The main chemical component of patchouli oil is patchoulol, a sesquiterpene alcohol. Leaves may be harvested several times a year. Patchouli is used widely in modern perfumery, by individuals who create their own scents, and in modern scented industrial products such as paper towels, laundry detergents and air fresheners. Patchouli oil may serve as an all-purpose insect repellent. Patchouli is an important ingredient incense. Patchouli leaves have been used to make an herbal tea. In some cultures, patchouli leaves are eaten as a vegetable or used as a seasoning.